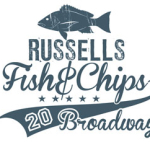 An opportunity has come available to work in the kitchen at the award winning Russells Fish and Chips in Broadway. The role is one of preparing the food on the menu and daily changing specials ready for service for lunch and Dinner and during service times cooking the food to order at the very high standard that has earned Russells Fish and Chips both its reputation and awards. The role would be suitable for an enthusiastic cook looking to improve their range of knowledge and skills within a professional, busy and friendly environment.